This week has been awesome. We spent the majority of the time in the area tracking. Elder Walker and I have set a new goal that we can not let couples pass by us in the street without talking to them. The truth is it’s an awesome goal. We have had some down right awesome stories. "WAIT WE WANT TO TALK TO YOU"
It turned out that they were a married couple with 3 kids and that the dad’s brother is a member. Super awesome. HOW COULD I LET THEM PASS ME LIKE THAT? So we turned around and chased them up the hill and took their names down to visit them! 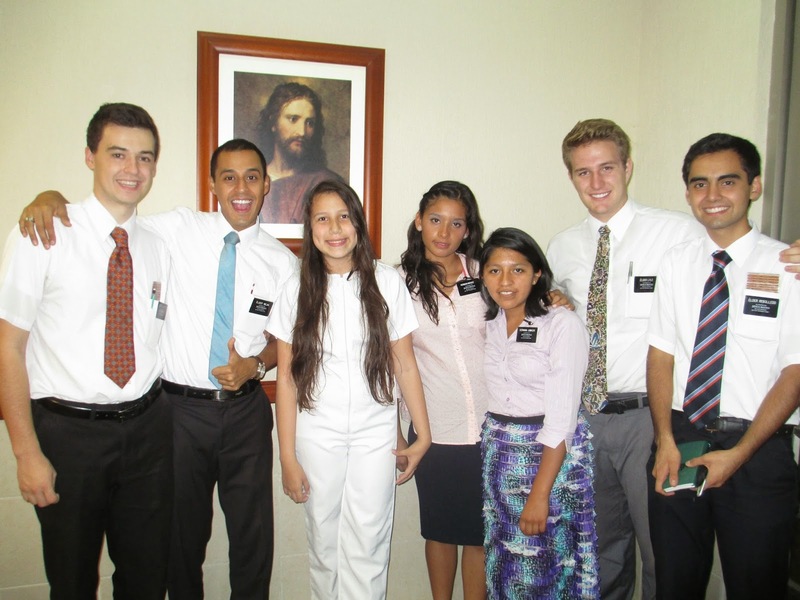 The truth is I love being a missionary! You have to talk to EVERYONE. and invite them to meet the missionaries. One person that is it. Do you know how many people that we come into contact with daily? One person and that is it. Sorry it’s so short this week. Busy week in the office. I love them. It’s good I speak Spanish so well most people think I’m caleño now so that’s pretty awesome. The thing is there are white people here in Cali, and now that I live in Santa Rita they all think I’m from here. Spanish is not a problem so President and Sister Pricoli put me in as a Latin assistant. Normally my position is filled by a Latin but they choose me. Super cool. Oh my gosh they are so nice. I spend a lot of time with them now. I like working in the mission home a lot. I practically don’t sleep. It’s kind of stressful being the example for all the missionaries in the mission. These interviews are killing Elder Walker and I… hahahaha. It’s actually hysterical to see us sometimes. We were like the walking dead teaching the companionship yesterday we woke up at 4 and by the afternoon we honestly are laughing so hard that we can barely teach. It’s bad hahaha. It’s like the late night giggles but at 5 in the afternoon hahaha. Although it’s super humbling to see how much all the missionaries look up to us. We are in charge of the mission pretty much. Like next week when President and Sister Pricoli go to Bogota we are in charge of the whole shebang for 3 days. It’s kind of nerve wracking, the area presidency calls us to see how things are going. We just have to keep showing the best example we can. I have to know every companionship in the mission, where they are, who they are, and how much time they have in the mission, but I’m loving it. I used to be able to pull all nighters all the time for school but for some reason I didn’t have the baggy eyes that we have. I think it’s also the stress load and the sadness that we feel as we have to make hard decisions like tell missionaries that they have to go to another area when they don’t want to or saying good-bye to others as they go home. It’s nothing like homework; I understand why Moses came down from Mt. Sinai like 40 years older… ha-ha. I had my first baptism here in Terron Colorado yesterday Saraí she’s awesome. Living in the big city is awesome. Although I’m not in Cali I’m in the mountains. Look up Terron Colorado in Google and you will see it’s the exit from Cali to Buenaventura. So it’s not quite the huge city but still the same thing. Where I live in Santa Rita it is SUPER RICH. But Terron Colorado is pretty humble but I really like it. Santa Rita is at the foot of the mountain and then when you start your way up on the other side of the street it’s Terron. There's a huge difference, on one side of the street is like SUPER rich and the other has cement floors. Of course, DUH I’m a missionary. Terron Colorado is my area. It is a huge mountain so we have to go to our area hanging on to the back of a jeep like that picture I sent to you guys when I was in Popayan. I need to buy a new camera... Why? Well the best way to put it is that I don’t have it anymore. So I'll have to buy a new one. Well this week was interview week for the mission. So what does that mean? A WHOLE LOT OF WORK! We started at Cali this week; 30-45 minutes with every missionary companionship in the mission is a lot of time when there are 193 missionaries in the mission. We have had some awesome experiences both incredibly spiritual and hilarious. Just time spent with President and Sister Prícoli is enough to make anybody laugh. They are so awesome. We have been teaching this week Inspired Questions. How any question that exists qualifies in one of three levels. Low, medium and high level questions. Low-level questions look for information like, who, what, when, and where. Medium-level questions need an analysis; questions that make you think about what is happening in your life now. And high-level questions are all about how can you apply the information to your own life to make it better in the future. It’s been super awesome although I do have to say that giving the same lesson 50 times (the count up until now) is kind of nuts. I respect the work that the assistants did a lot more now that I get to experience the stress and hard work first hand, hahaha. This week we only did the interviews for Cali, all day everyday. There are 120 missionaries in Cali so we have now done 60 interviews in Cali plus 10 today in Popayan, 70 interviews in total. I do have to say that I am learning a lot because we teach them a principle every time and then they teach us. Honestly it’s been super cool to have the missionaries teach me for real. I never had that experience until now. It’s honestly super awesome. Elder Walker and I get along super great. We haven’t slept in like a week, so we are now constantly in a Spanglish zombie mode that President doesn’t really understand but that’s okay. We speak Spanish all day but at times it comes out Spanglish to be honest. The mission is so much fun. It’s so cool to be back in Popayan today although I couldn’t go to my area to see my converts. I know that one day I’ll see them again. We just had so much to do with the interviews that we are finishing up right now, writing you guys and then we are back to Cali which is 3 hours north. I love the mission. It’s such a rewarding experience although we are teaching 47 hours of the exact same training every 30 minutes it’s super awesome and rewarding to see how we can help these missionaries. Well at least I really hope that we can help them. So one of the topics that I have taught a lot this week is that Christ lives, that because of Him we too can live. As a mission we have been centering our teaching with that in mind. That our Savior lives and because He lives, we too will live again. I love you all have an awesome week. Presidente drives like Grandma. Elder Walker and I laugh our heads off everyday in the car about that. We have almost gotten into like 3 car accidents, hahaha, no I’m kidding. The only accident we were in was with a telephone pole in the church parking lot. “Presidente, look out, Presidente look out, PRESIDENTE LOOK OU-CRRRRUNCH” Hahahaha. We are having a great time here in the office. 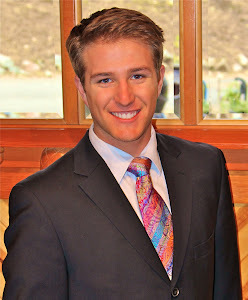 Elder Jones says that he is going to our sealing. We are having a great time everyone together here in the mission. I love the mission life. I love the socks you sent me. Super awesome. I eat dragon fruit daily. I haven’t slept all week and I LOVE IT! You can only imagine the car stuffed with 22 pillows, hahaha Elder Walker and I were dead asleep on the way to Popayan to say the least! Hey wanted to tell you that everything is good, that I won’t have the time to talk to you guys tomorrow, (Saturday) I have to travel to Popayan for interviews that we are having with all the missionaries. So all day, on my P-day, I’m going to be working as normal… hahaha. I love you, thank you so much for the packages. I especially love the package with chipotle. I’m here in the office with Elder Jones everyday so we are back together again having a good time. He is another one of the secretaries. He says Hi. I love seeing all the pics and vids from home, keep them coming. It all started last Thursday night when Presidente called me to be the new assistant. Since then I have not slept much, but I love it. Friday I made my way to Cali with the branch president from Buenaventura. We spent an hour and half in dead stopped traffic and 3 and half hours after that we made it to Cali. Then Saturday night we had to pick up a sister missionary who had to come home to Palmira because she had appendicitis while she was out on her mission. Her flight got in at 12:45am… So by the time we got back to the house on Sunday it was 3am. After that we went to General Conference. Super awesome as well. Sunday night we spent the entire night in the office getting things ready for this week. It was a gnarly week, hahaha. Monday we had to get 14 missionaries their auto sufficiency training, this took all day. We also had to get the training ready for the new missionaries that were coming in. Monday night we were dealing with getting all the missionaries who are going home ready to leave, weighing their bags and all that jazz. We were finally able to be to sleep at 12am to wake up at 3am. At 3 am we took all the missionaries to the airport, got them through international check in and out on their flights. After the last went through check in at 7am we had to make a mad dash to the bottom floor of the airport, where we received 25 new missionaries, 14 of them are from the United States. All day we were taking them around Cali fixing up their Colombian IDs, taking them to Cristo Rey, and just making sure they had a good day. We went to bed that night figuring out the training for the new missionaries and the trainers for Wednesday. “WE HAVE A TRAINING TO DO WITH 50 MISSIONARIES IN AN HOUR PLEASE GET ON THE BUS!!!! !”… Hahahaha. Everything went as planned so awesome. It made me remember when I met my trainer; it’s such an awesome experience to see the new missionaries start the same journey that I am in right now. It has changed my life indefinitely. When they all left we had to figure out the leadership council with all the Zone leaders would have on Thursday. So we were late to go to sleep AGAIN figuring out how we were going to train those Zone Leaders. Thursday rolls around and Elder Walker and I are walking zombies, hahahaha. We have HUGE bags underneath our eyes along with all the secretaries that help us like Elder Rebolledo (My KID!!!) Let me just say that when Thursday night got here we were so dead that Elder Walker and I went out to track our area and to teach and honestly I’m pretty sure nobody understood what we were saying. Yesterday was our first normal day since I got here. We came to the office in the morning, planned all day what we are going to do in the individual training of the missionaries in the personal interviews that we are going to start with President next week. Then after we had finished planning, which was like 5:30, we went out to our area for the first time in a week. We found some super awesome people. I’m so excited to work with them. Like a family of 10, the Córdoba Family, we found them looking for an address in our area. Our area is called Terrón Colorado. It’s huge, and it’s on the side of the cliff on the way out of Cali heading towards Buenaventura. That is our area… Cliffs! President came in one day to see how our trainings were turning out as we were preparing them. He walked in the room to find us watching videos of the district in English, reading talks and scriptures in English, but talking in Spanish and writing down our ideas on the white board in Spanglish. We are actually having a great time. We have someone who looks after us because we have no time to do our own laundry and stuff, so we have María, she’s awesome. I love María. She makes us lunch, cleans our house and our clothes. She is the BOMB. I love my life in the mission. It means so much to me now. It’s more than just reading the scriptures. It’s about loving your existence and all of those around you. I hope that all of you that live in the United States reading this blog will take time to go to the movie theater to see Meet the Mormons. Go to the movie theaters and watch Meet the Mormons. 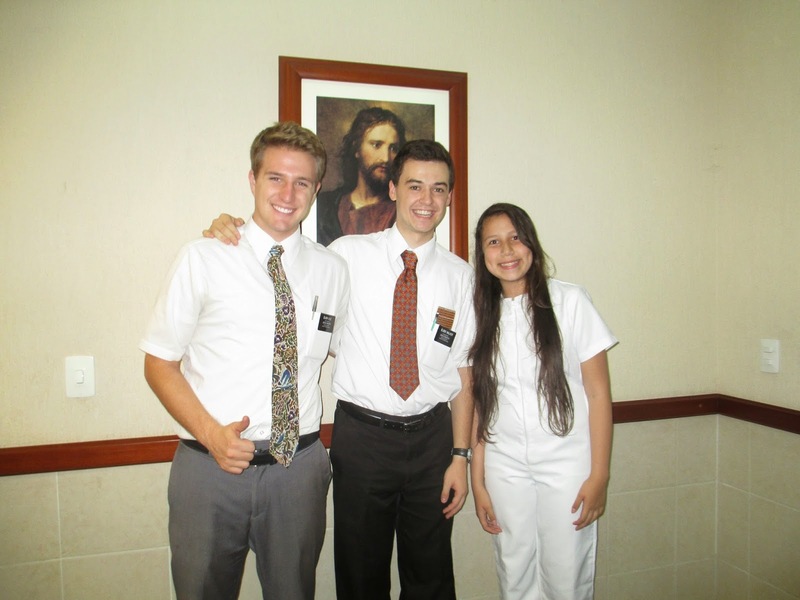 Love getting pictures from Elder Donoso! Esta entre un camaleon o una iguana, la cosa es que estaba en la ventana de la iglesia mediante la Conferencia!